British singer-songwriter Ed Sheeran talks about the food in Singapore, who he wants to collaborate with and whether he plans to pursue an acting career. He is in town to perform two sold-out shows for his Divide tour. 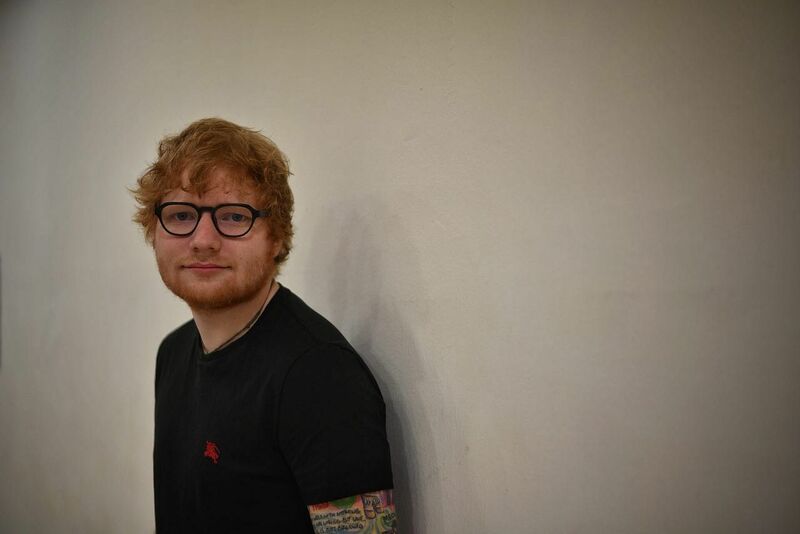 SINGAPORE - The cast is off Ed Sheeran's right arm and the British singer was raring to go for the first show of the Asian leg of his tour on Saturday (Nov 11). "I feel good, I feel nervous but it'll be fun," he told the media ahead of the first of two sold-out concerts at the Singapore Indoor Stadium. "I haven't used these muscles in six weeks - I'll be fine but I think it'll ache." Singapore is the first of the Asia stops for his Divide tour, which was cancelled in Taipei, Seoul, Hong Kong and Jakarta after a bicycle accident in London last month, which left him with a broken wrist, elbow and rib. "I was quite sad about missing the beginning of the tour because this is my favourite part of the world but I'm looking forward to getting back and playing - it's been a bit of a boring six weeks," he quipped. He admitted that this show, being his first since the injury, was not as practised. "I don't really like knowing, I'd rather just go out and have adrenaline, rather than playing and being (worried that) it's gonna hurt," the 26-year-old said. The singer, who recently released his music video for the song Perfect - starring actress Zoey Deutch - said that he plans to release a video for Happier next. "That's the last single I want to put out and then be done with this album I think, and then I'll start working on the next one," he said. His first three albums had mathematical symbols - + (2011), × (2014) and ÷ (2017) - for names, but when asked if his next album would be "-", he said "maybe". He has plenty else planned. "There's lots of things that I want to do - I want to do another collaborations EP, a film soundtrack, an acoustic record. There are lots of stuff and I don't know what the next thing is going to be." As part of the Asian leg of his tour, he will also be heading to Kuala Lumpur, Bangkok, Mumbai and Dubai.